Having spent the majority of my childhood playing with Star Wars action figures and memorizing virtually every line from the movies, to say that I was fired up to do some work for LucasFilm' Star Wars would be a huge understatement. I had a great opportunity to do some work for a pitch for a complete redesign of Starwars.com - a destination that was, to my surprise, looking neglected and in need of some fresh ideas. My concept, called "Scene Builder", enables fans to create, customize, and share their own virtual environment - by mixing and mashing characters, backgrounds, vehicles, and audio + video clips. Its a great way to encourage fan participation, while also serving as a learning tool for the Star Wars vast mythology and product line. 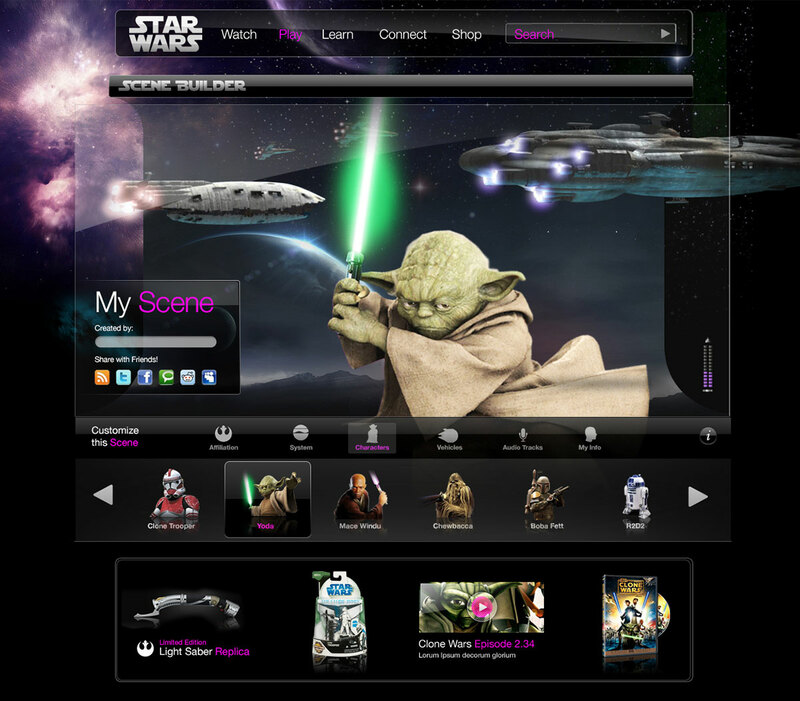 This experience enables users to mash up characters, vehicles, backgrounds, and audio clips into a "scene". 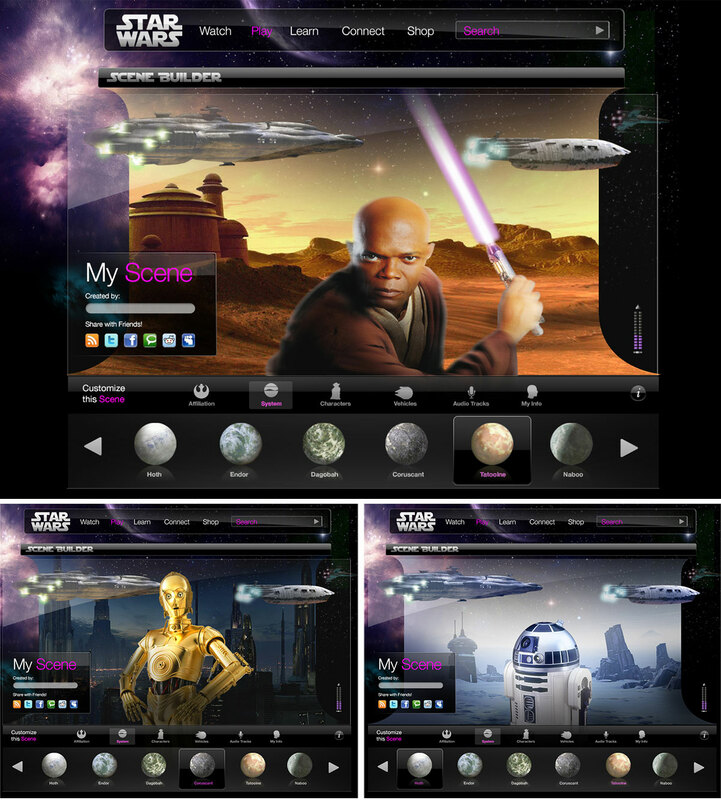 Its a fun way to explore and learn about the Star Wars universe, while creating something personalized that can be shared across social networks. 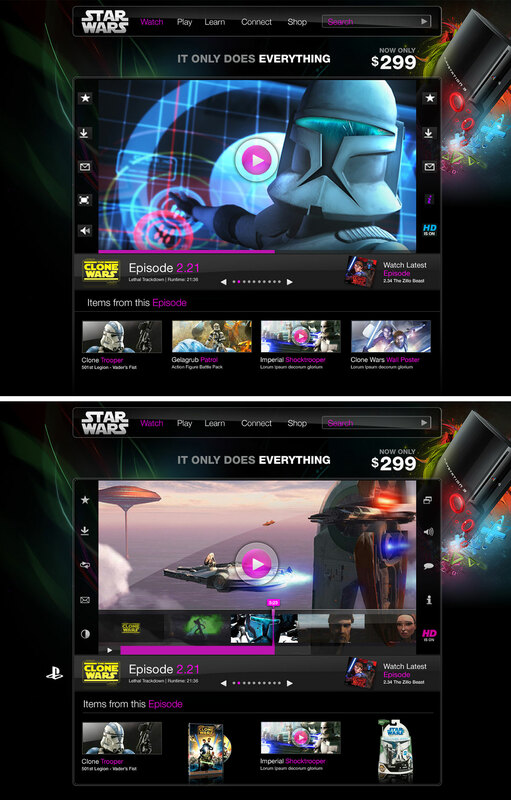 Of course video will play a vital role on the Star Wars platform, so we designed a player with an interactive timeline that serves relevant information, content, and products.